Poetry. Middle Eastern Studies. Birds, roses, arabesques, minarets, a city, and a different sky. 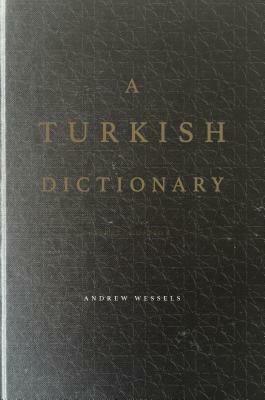 In A TURKISH DICTIONARY, Andrew Wessels navigates an Istanbul of the present and an Istanbul of the past, tracing the redaction and restoration of language, history, and faith. Through a flaneur's exploration of Istanbul's back streets, discoveries in obscure and questionable books, the sound of spoken words, and the tracings of sacred geometry, Wessels discovers and enters the dark zero of a city, a past, and a self.